Smith & White was a competitor of Carlisle & Finch circa 1902-03. 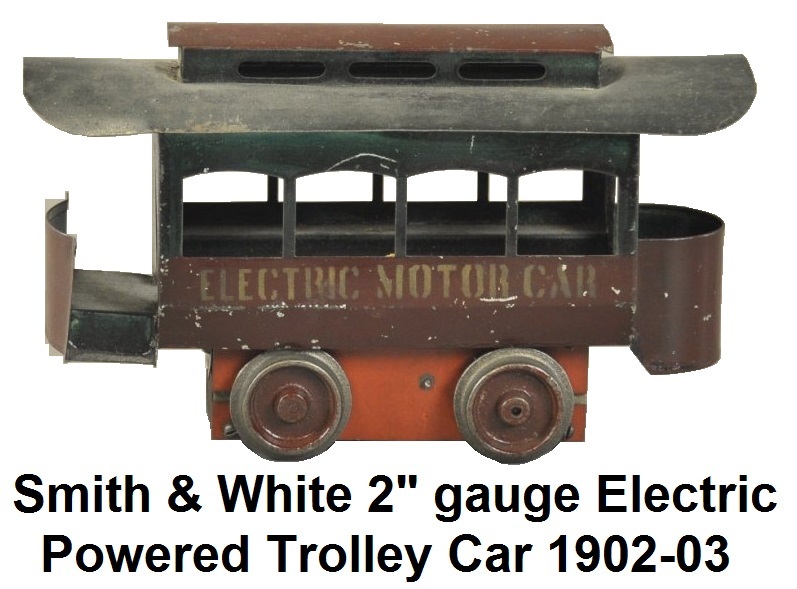 They made only one item, an electric trolley in 2" gauge. 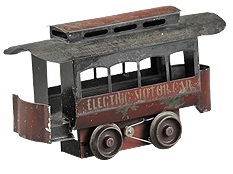 It was 8" long, featured a tin body painted in maroon, with a black roof, and stenciled sides that read 'Electric Motor Car'. The trolley was modeled after the C&F #1 electric trolley. Like C&F, Smith & White was based in Cincinnati Ohio. An extremely rare electric trolley by Smith and White circa 1902, one of only five known examples, was offered in a May 2014 Bertoia Auctions sale and was estimated to sell for between $1,800 to $2,250. Bidding was very competitive and it actually was sold for $7,080.